Azenha Guest House - Country House is an 18th century property where the kitchen was the old water mill, retaining all its original features, from the grills to its stone walls but with the comfort of a modern house. 4 Family rooms with private bathroom, non smoking rooms, TV in each room, cable channels, A / C and heating, bed linen and towels, amenities, hairdryer. Fully equipped kitchen with dishwasher, oven, hob, microwave, kettle, cooking utensils, toaster, magic wand and fridge. Huge patio and garden with lounger, tables and chairs, access by a walk to the beach, wi-fi throughout the property, private parking on the property. 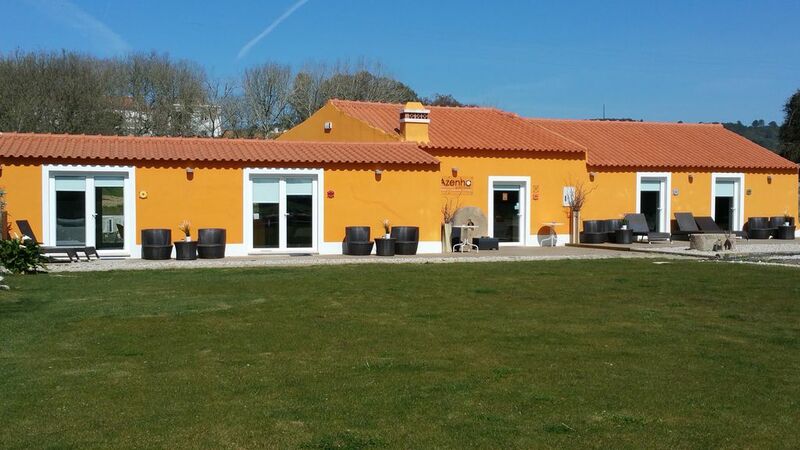 10 min walk from the village of Foz do Arelho and the Óbidos Lagoon. We are a few kilometers from Caldas da Rainha, Óbidos, Peniche, Nazaré.